Modern Combat 5 is coming and Gameloft has lifted the curtain over the next iteration in an official trailer for its first person shooter series. Modern Combat 5 not only has the adrenaline punch of a shooter, but also graphics edging closer towards console-grade quality. 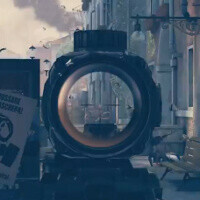 Modern Combat 5 takes us to Venice in some of the best game scenes including a boat-chase in the canals. Gameloft will first show the upcoming game at E3 this year, and it’s officially coming to smartphones and tablets later on in the year. The trailer for the game is really well made. Building up suspense in the quiet beginning and culminating in action-packed scenes later on. We hope Gameloft does not screw things up with the freemium model, and we should get one of the best first-person shooters in the near future. Keep your fingers crossed.